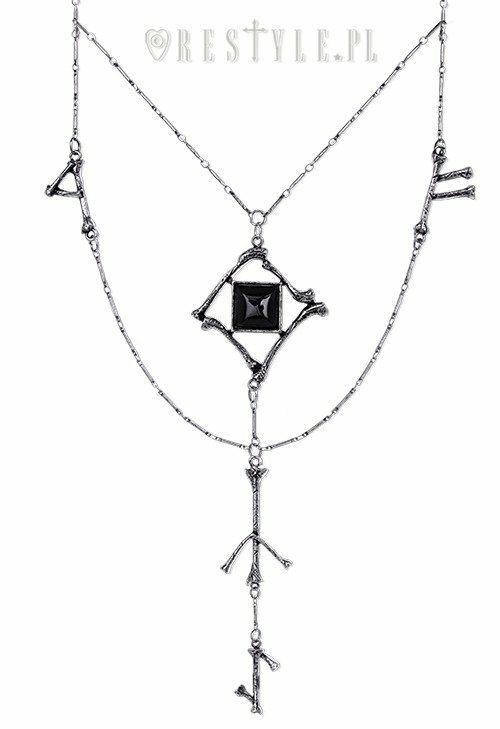 Silver long chain, Black onyx, gothic pendan"RUNES & BONES necklace"
Necklace presents runes symbols made of bones. All bones elements are threedimensional. 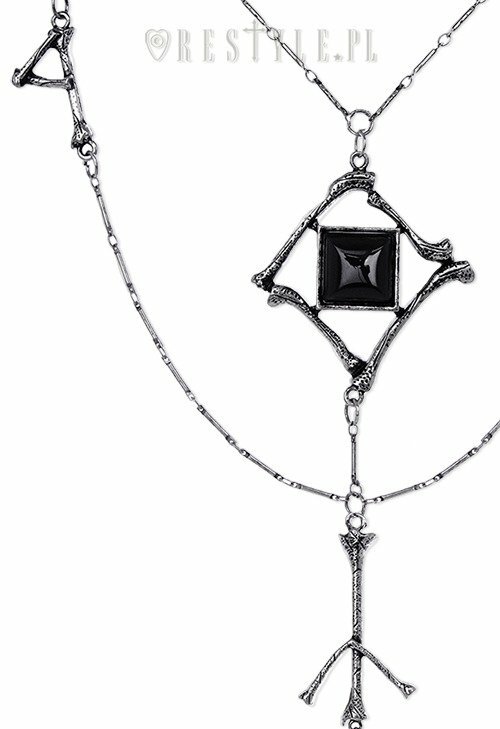 In the centre of the pendant there is a black onyx surrounded by frame made of tibia bones. Entire necklace is connected with chain which creates really unique design. Jewellery is in antique silver color with grunge texture. This necklace will look marvelous with black fashion clothes. This necklace is perfect. The details on it are amazing. It suits every piece of clothing I've worn it with. I would recommend it to everyone. its a cute necklace - the chains can snap easily off however and I have had to tighten all the hoops the chairs are attached to so that they don't come undone. The design however is lovely - I hope to use this regularly.